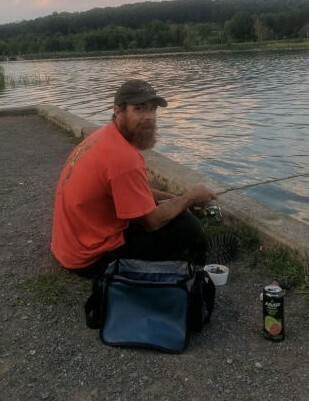 Andrea R. "Andy" Berkheiser, 37, of Williamsport, died Tuesday, April 9, 2019, at his home. Surviving is his wife, Stacy (Kline) Berkheiser. Born March 29, 1982, in Williamsport, he was a son of the late Raymond L. Berkheiser and Tina D. (Andy) Goldy (Frederick), of Cogan Station. Surviving in addition to his wife and mother, are his children, Jacob V. "Jake" and Ava M. Berkheiser, both of Avis; step-daughters, Amanda L. Levering (James), Samantha A. Kline (Nick), Nicole E. Kline (Kris), and Lindsey G. Ferricks; four grandchildren, Gaven Kline, Kayleigh Kline, Aaliyah Saiers, Braxton Ferris, and two on the way; his siblings, Nathan Berkheiser, Fred Goldy (Autumn), Tammy Berkheiser, and Shane Berkheiser; and a step-brother, Jared Gouldy (Jenn). In addition to his father, he was preceded in death by his maternal grandparents, Victor and Patricia Andy, and paternal grandparents, William and Florence Berkheiser. A memorial service to honor the life of Andy will be held at 6 p.m. on Friday, April 19, at Sanders Mortuary, 821 Diamond St. The family will receive friends from 5 p.m. until the time of service.